Envirosafe Ireland offer cleanroom validation and maintenance e.g. OEL testing, HEPA filter testing, particle counting (viable or non viable), measurement of pressure differential, air changes, humidity, temperature etc, air flow visualisation, cleanroom recovery rate testing, risk based analysis on reducing air change rates while maintaining particle count. 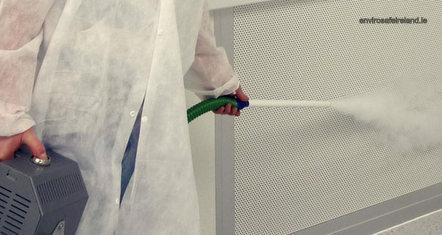 We can also offer planned and emergency cleanroom maintenance and modifications e.g. replacing and repairing panels, doors, lighting, filters, terminal boxes etc.